Exchange Server disasters can happen despite all the precautionary measures taken by the administrators. Fortunately, there are many professional Exchange recovery tools that help in dealing with such situations. Still, many experienced administrators keep regular backups so that everything can be recovered after Exchange crashes. 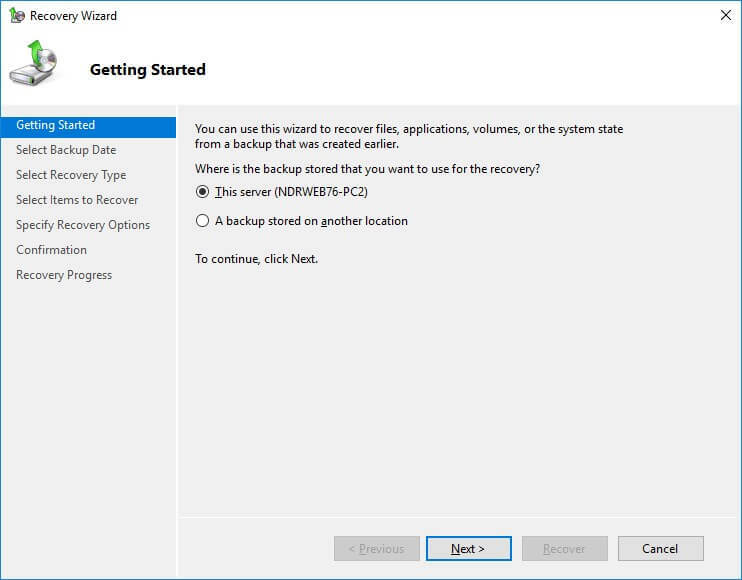 This two-part article shows you how to use the backup feature of Windows Server to backup and restore Exchange data. Start Windows Server Backup and choose Local Backup. Click Recover in the Actions pane. The Recovery Wizard opens up. If the backup is on a local server, then select This Server (Server Name) and click Next. 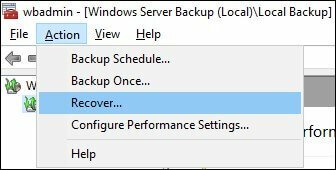 If the backup is on another computer, then select Another server, and click Next. On the Specify Location page, select Local drives or Remote shared folder, and click Next. For local drives, select the drive and back location; for remote shared folder, provide UNC path (on Specify remote folder page); click Next. 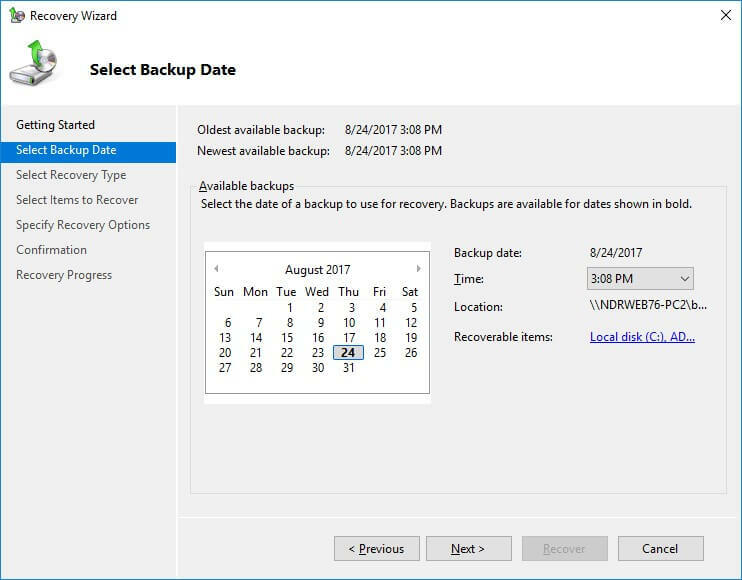 On the Select Backup Date page, select the time and date of the backup and click Next. 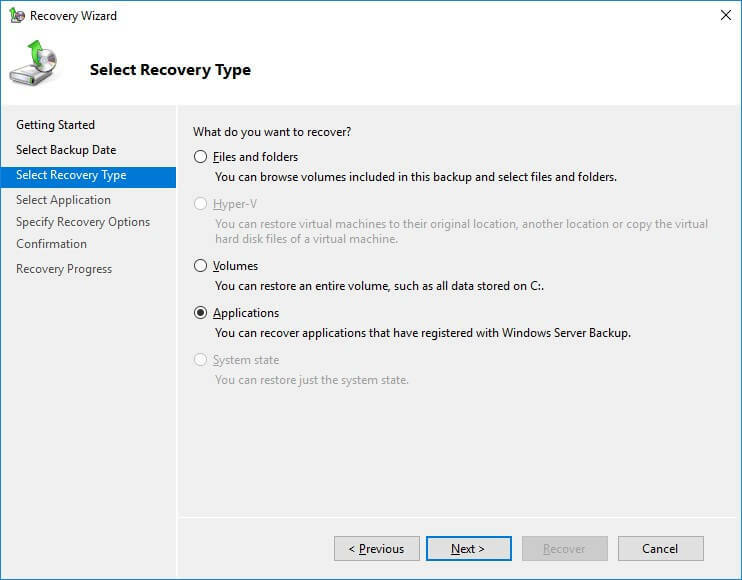 On the Select Recovery Type page, select Applications and click Next. 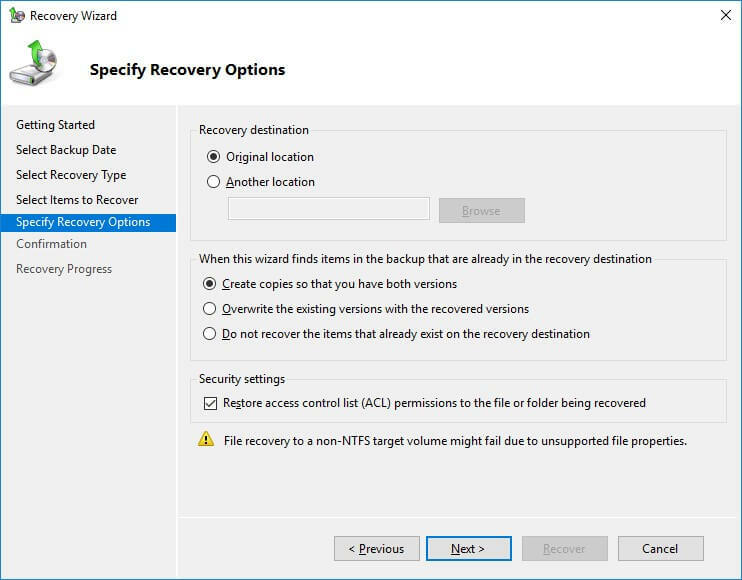 On the Specify Recovery Options page, specify the location where you want to recover the data, it would be either Recover to Original location or Recover to another location. Now, on the Confirmation page, check the recovery settings and click Recover. You can view the status of recovery on Recovery Progress page and click Close once the recovery operation is complete. 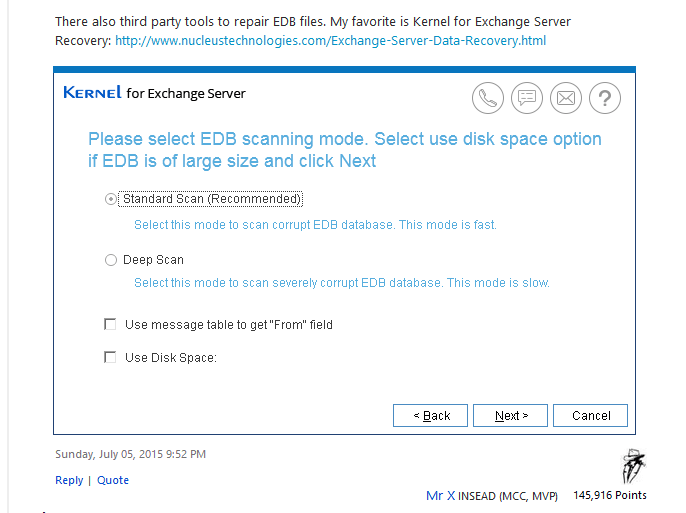 If you don’t have any backups to restore the Exchange data, try to repair the corrupt EDB files using a third party Exchange Recovery tool like- Kernel for Exchange Server Recovery, a third-party tool which handles all the possible issues of Exchange server. This EDB to PST Converter tool is embedded with extensive Exchange recovery features that help administrators to recover the required mailboxes and items easily.